This weekend, two artists will come together at the Eastside Arts Alliance for a collaborative exhibit, a pop-up shop and workshop. Grafiteras is the product of a joint effort between Leslie Lopez “Dime” from Oakland and Maria Castillo “Toofly” from Queens, New York. The two graffiti artists will bridge the gap between the East and West Coast connection through an art installation that explores their similar upbringings in the Nineties, despite having grown up on completely different coasts. 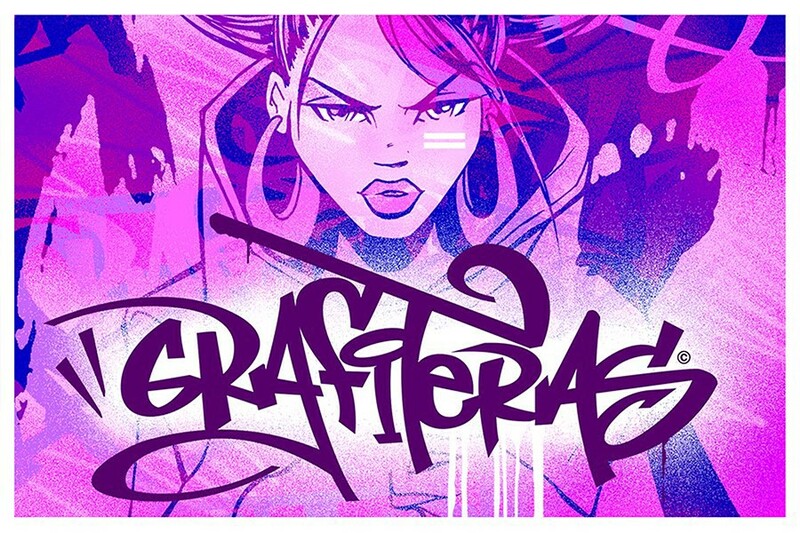 Grafiteras is also a testament to Castillo and Lopez’s work ethic and perseverance that pushed them to make a mark in the male-dominated graffiti scene. The installations will also delve into how culture, including music and food, have shaped the artists’ perspectives. Castillo will be hosting a workshop on Saturday and space is limited. You must sign-up to participate.